The Ruff Fantasy Road Race League is back for it's 2nd year! Will last years champion - Baron Chopa hold onto his crown or will we have a new Road Race King! If you're into Moto GP, British Superbikes, World Superbikes or just motor sports in general. 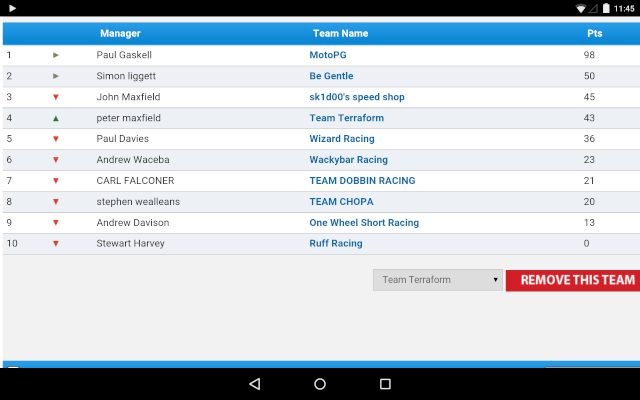 Why not have a stake in each race by signing up to this years Ruff Fantasy Road Race League. Its free to enter and there is a chance to win a £10 Microsoft voucher. By entering a team into the 2015 MCN Fantasy Road Race competition, you'll be giving yourself several chances of winning some great prizes! So if you're interested sign up at http://mcn.fantasyleague.com if link isn't showing just Google "MCN Fantasy Road Race"
The winner of the Ruff fantasy Road race private league will win a £10 Microsoft Voucher and a place in the hallowed halls of the Ruff Gaming Hall of Fame! Once you have signed up post below here that you have signed up and also your team name. Also we will try to do updates here of how the league is shaping up! One Wheel Short racing once again signing up!